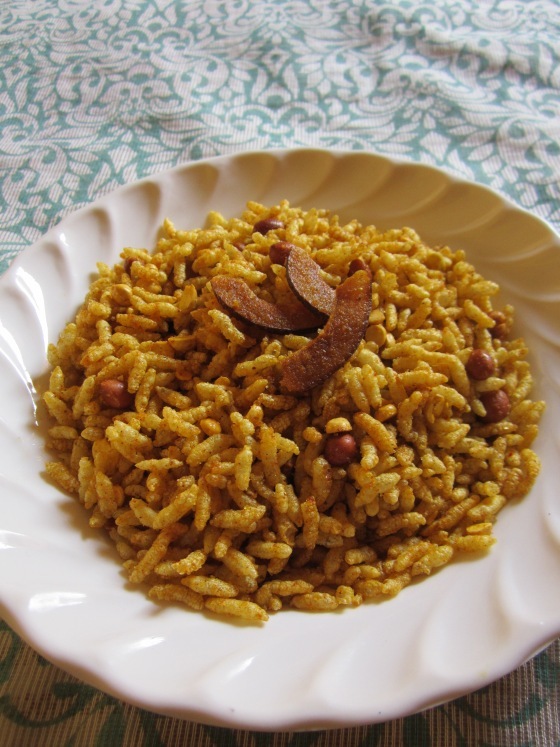 Puffed rice chivda / how to make bhajke poha chivda with step by step pictures. 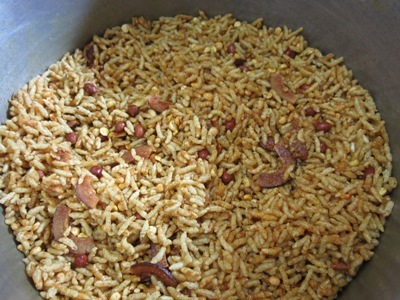 Puffed rice chivda/bhajke poha chivda is mostly made on diwali. Here I m sharing easy and mouth watering recipe of home made puffed rice/bhajke poha chiwda with you. Prep your ingredients to save time because in this process you need to fry the ingredients one after the other. 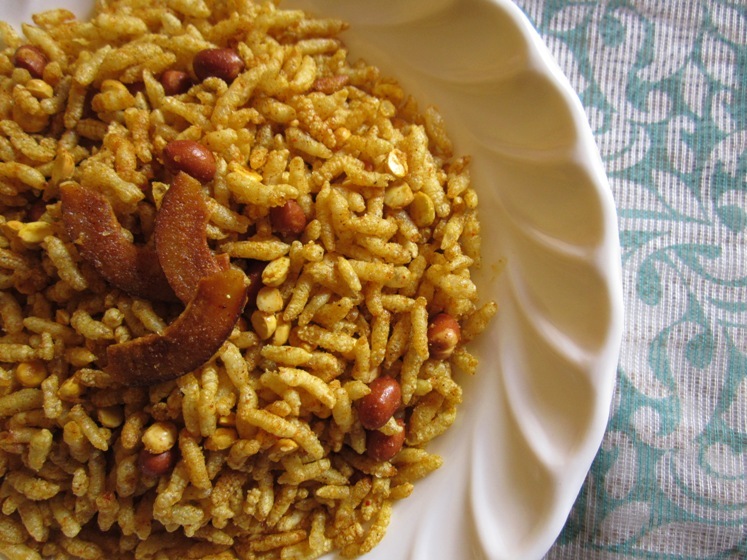 Puffed rice/bhajke pohe is a maharashtrian snacks having mixed spiced, sweet and salty flavor. 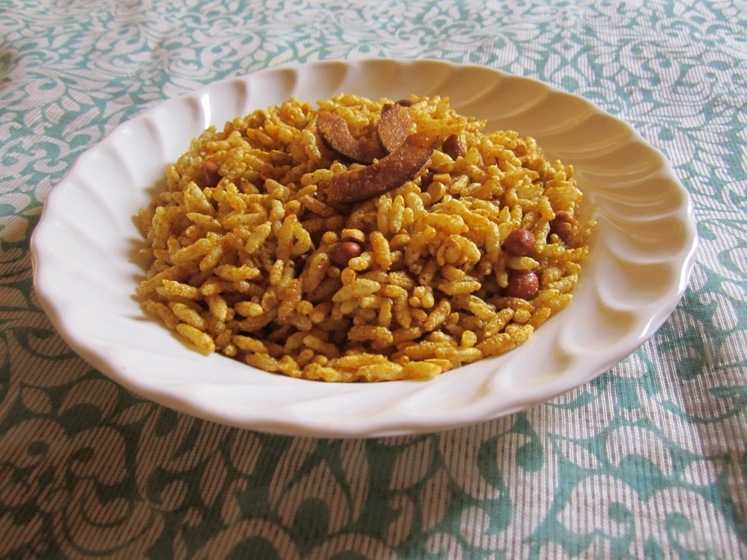 You can also make poha chiwda/ flatten rice chivda with the same method. It too tastes luscious. 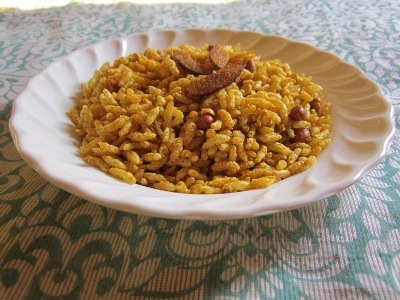 Chivda masala and crispness of the puffed rice /bhajke pohe is the secret of bhajke poha chivda. So, roast the puffed rice for 15 minutes on low flame to get it crisp but at the same time stir it after every minute in order to get every poha evenly crisped. Here I have used packet chivda masala of ramdev brand. You can use any brand masala to make chiwda and if y less spicy preffered than you can adjust the red chilli powder and masala as per your convenience and taste. Amchur powder/dried and powdered unripe mango gives sour taste and Powder sugar/icing sugar provide sweet flavor. So here we have spiced, sour, sweet and salty flavor all together. 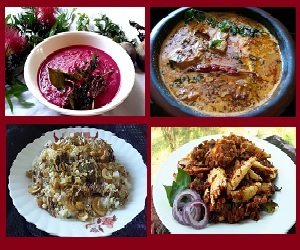 Roasted chana dal, fried groundnut and fried sliced coconut add to the taste of chiwda. I have skipped curry leaves but add if you need. Puffed rice chivda has good shelf life and could be stored for few weeks in an air tight container. How to make Puffed Rice Chivda. Take a cooking vessel and heat it on high flame. Now reduce the flame. 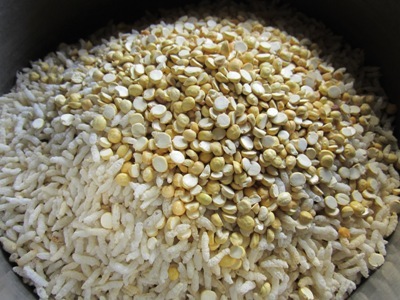 Place puffed rice/bhajke pohe and roasted chana dal into the cooking vessel. Stir it after every minute. Roast it for 15 minutes or till the puffed rice/bhajke pohe and roasted chana dal get crispy. 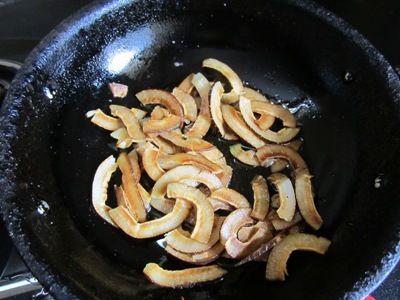 Heat a skillet and add oil to it on high flame. 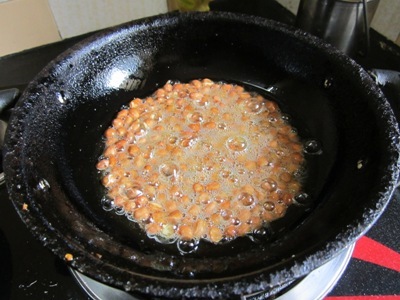 Place groundnut into the oil and fry. Stir it continuously till it gets fried. Remove it into tissue paper to drain excess oil. Now add sliced coconut to the same hot oil and fry it till it gets golden brown. Stir it continuously. Remove the fried coconut into tissue paper to drain excess oil. Heat a skillet and add 125 ml oil and off the flame. Oil must not be too hot. Now add red chilli powder, Amchur powder/dried and powdered unripe mango, chiwda masala, sugar powder/icing sugar and salt. 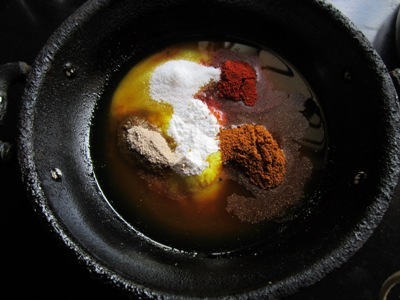 Mix the masala well. 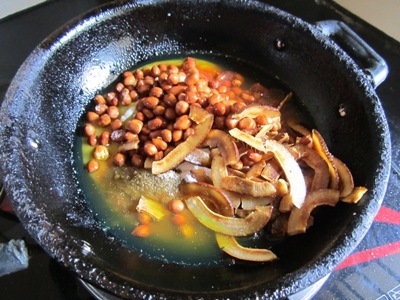 Now add fried groundnut and fried coconut to the same skillet and mix it well. 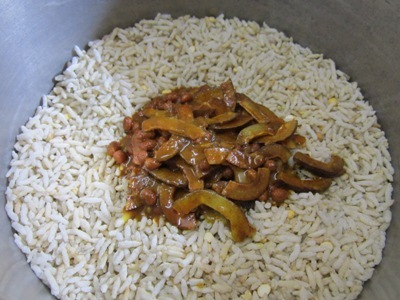 The masala should cover the groungnut and sliced coconut equally. Masala mixture is ready. Now add the above masala mixture to the cooking vessel containing roasted puffed rice and daalia/roasted chana dal. Mix it well until all the puffed rice is covered with masala evenly. Bhajke pohe/puffed rice chivada is ready to serve. Enjoy!